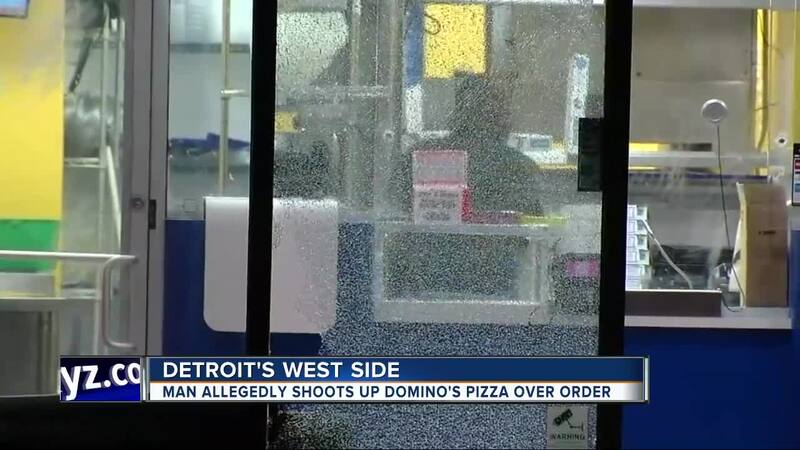 Detroit Police are searching for a man accused of opening fire inside the Domino's Pizza on West McNichols Rd. near Wyoming Ave. around 11:30 Tuesday night. An employee tell 7 Action News the man got upset because his order wasn't ready when he arrived to pick it up. The man then fired several shots hitting the front door and glass windows. 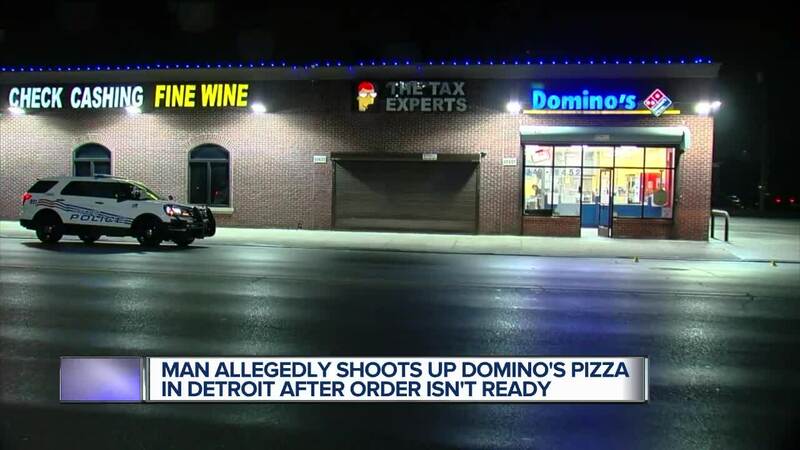 (WXYZ) — Detroit Police are searching for a man accused of opening fire inside the Domino's Pizza on West McNichols Rd. near Wyoming Ave. around 11:30 Tuesday night. An employee tell 7 Action News the man got upset because his order wasn't ready when he arrived to pick it up. The man then fired several shots hitting the front door and glass windows. 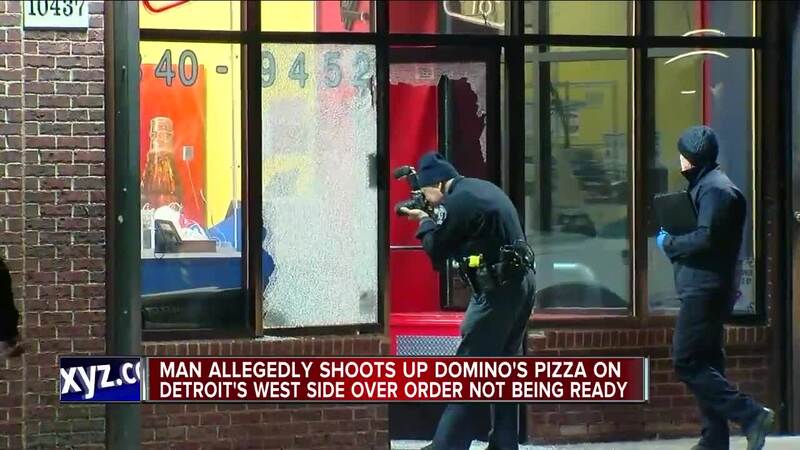 Detroit Police say they do have surveillance video of the shooting, but are not releasing it at this time. If you have any information call the Detroit Police Department at 313-596-2313 or Crime Stoppers at 1-800-SPEAKUP and remain anonymous.